Each year I make or buy a new ornament for everyone in my family. Then when my kids are grown and have their own trees to decorate, they'll already have a set of Christmas memories to display. This year I chose some very special ornaments from Deseret Book with Biblical Names of Christ on them. 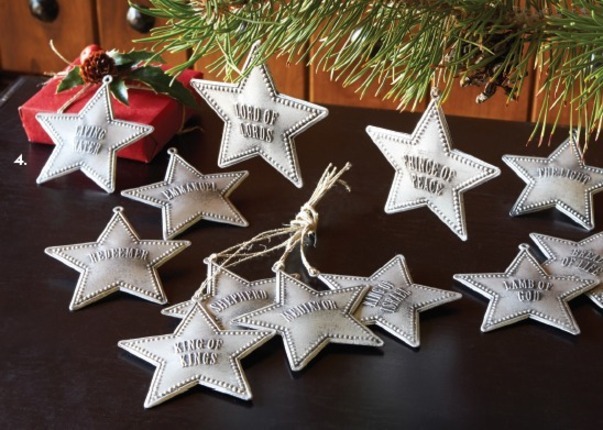 There are 12 ornaments, perfect for a 12-days-of-Christmas countdown. Since I have three children, they'll each receive four ornaments to grow their collection even more. I'd like to share the spirit of the season with all of you by giving one of you a set of these beautiful ornaments. To enter, use the widget below. The giveaway is open to US residents only. The winner will be chosen at random and will be announced Friday, Nov. 29.